The National Federation of Young Farmers’ Clubs (NFYFC) is working with Warwickshire Young Farmers’ Clubs and Farming & Countryside Education (FACE) to develop new ways of forging mutually beneficial links between YFCs and schools. A new workshop is being developed this autumn which will help equip Young Farmers’ Clubs members to go into schools and help broaden students’ understanding of the agricultural industry, potential careers in the sector and opportunities available through agricultural colleges. The pilot will work on a peer mentoring model and may be further developed to include farm walks as part of Cardinal Wiseman School’s environmental and land-based GCSE course, although the scheme could also be expanded to include sixth-form students who might be considering attending agricultural colleges. The pilot, which resulted from NFYFC co-sponsoring the first School Farms Network conference in July, will also explore the possibility of creating an in-school YFC at the Coventry school. YFC members and associate members are again invited to a special VIP Race Day on the final day of the prestigious Open Meeting at Cheltenham Racecourse, the most important event for jump racing prior to Christmas. 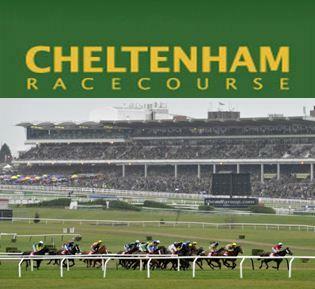 NFYFC’s annual Race Day at Cheltenham is a fantastic day out on Sunday 13 November 2011 offering the chance to enjoy a day of top-class racing and entertainment with fellow YFC members and guests. Prices for tickets are £22 per person for YFC members and £27 for associate YFC members and guests. Join NFYFC for two of its most prestigious and hotly contested competition finals on Saturday 17 September at the Royal County of Berkshire Show, Newbury. 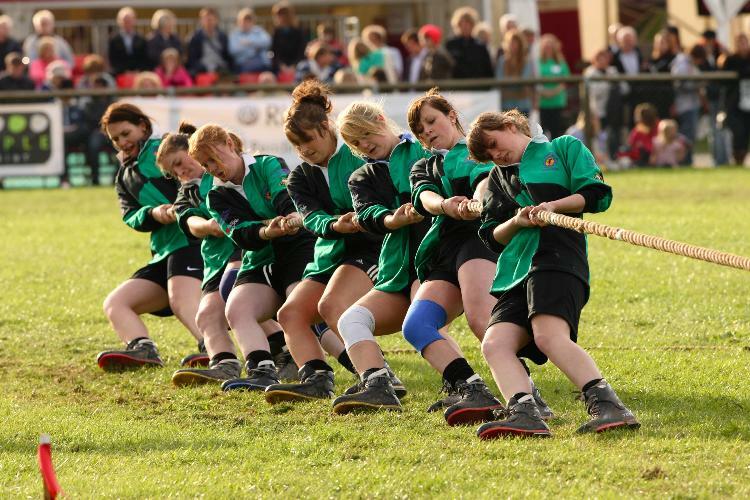 Witness the battle of will and strength as the men’s and women’s teams from around the federation enter the YFC Arena to play out the finals of the 2011 Tug of War championships from 10am onwards. Find out which young farming entrepreneurs will take home scholarships to the Oxford Farming Conference as the panel of expert judges announces the winners of this year’s Farm Business Development competition towards the end of the show day. Supported by Defra, the competition allows participants to have a dry run at applying for a farm business tenancy, and this year NFYFC is also piloting opening the competition to non-YFC members. You can buy advance tickets for the Royal County of Berkshire Show online at a discounted price until Friday 9 September 2011. Simply visit www.berkshireshow.co.uk to buy and to find out about what else is happening at the event. The Royal County of Berkshire Show has farming at its heart, and the Grand Parade of Livestock is a perfect show of British farming at its best. Of course children will love the cows, pigs, sheep and others but the parade is a real treat for all the family lasting almost an hour each afternoon. All things equestrian will also feature highly in the main arena, with showing classes, a stunning Coaching Marathon, a daily parade of hounds as well as exciting, top-level show jumping. Saturday’s Six-Bar competition is a thrilling test of nerve, which horse fans will love but anyone can get the hang of watching. On Sunday the Show hosts a British Show Jumping International Stairway competition, and some of the country’s top riders will be battling it out for all-important points. Sunday morning will start with a Harvest Festival service and at the other end of the day, both evenings will finish (weather permitting) with a mass ascent of hot air balloons, a visual spectacle that perfectly tops off an incredible day at the best Show in Berkshire. Young Farmers’ Clubs (YFC) competitors from across England and Wales put their stockjudging and stock management skills to the test at the weekend. 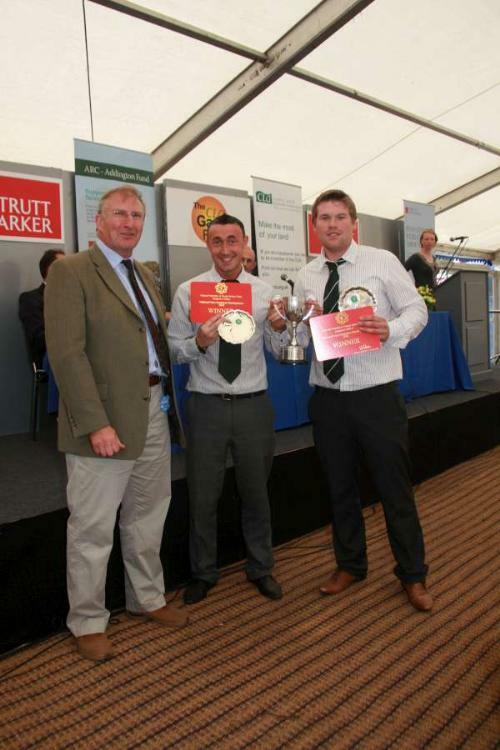 Young Farmers’ competed in the NFYFC Young Stockjudge, Stockman of the Year and Efficiency with Safety finals Harper Adams University College, Shropshire. Herefordshire Federation of Young Farmers’ Clubs (FYFC’s) Charlotte Watkins took first prize for the Young Stockjudge of the Year competition, winning the Midland Bank Perpetual Challenge Trophy, with Gwent FYFC’s Aled Groucott placed second and Robert Walker of Lancashire FYFC coming a very close third. First place in the Stockman of the Year competition went to John Critchley from Lancashire FYFC’s who was awarded the Midland Bank Perpetual Challenge Silver Salver; with Carmarthenshire FYFC’s Meinir Jones taking second place and Yorkshire FYFC’s Katrina Donaldson came in third. Eight teams came forward from the regional rounds of the Efficiency with Safety competition to battle for the ATS Euromaster Trophy in the 2011 NFYFC national final. 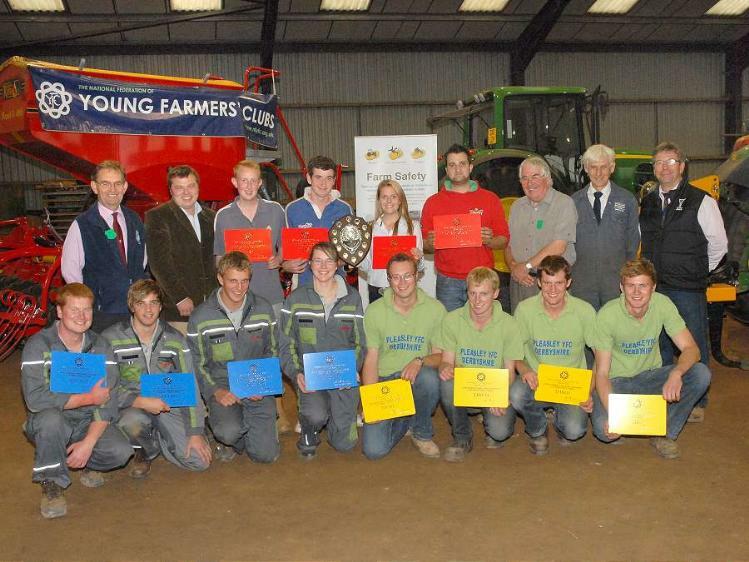 Gwent FYFC’s team of Jason Bradley, Simon Clarkson, Louise Thomas and Owain Williams were the winning team after a gruelling day of competing which involved machinery safety checks, maintenance tasks and dealing with a mocked farm accident. Pembrokeshire FYFC (Sion Rowlands, Berwyn John Warlow, Lowri Warlow and Michael Williams) were placed second and Derbyshire (David Brocksopp, Jonathan Hayes was awarded third place. Full results are available in the competitions section of the NFYFC website at http://www.nfyfc.org.uk/Competitions/results, and photos from the event can be downloaded here!